After check on the Trumpeter Swans in Hudson we stopped for a bite to eat then headed over to Willow River State Park to check on the ice at Willow Falls. I was a little disappointed with the lack good ice on the falls. There was a lot of water and not so much ice. I ended up taking some intimate photos of what little ice there was. We had a little time so we decided to drive over to Willow River State Park. We had not been to the park this winter and was anxious to see the condition of the ice. Turns out it was not all that great. I took a few photos and then we headed out. Tough to get spectacular ice if it isn’t cold out. It was a beautiful but unseasonably warm day when we decided to drive over to Willow River State Park. Our first stop was Willow Falls. 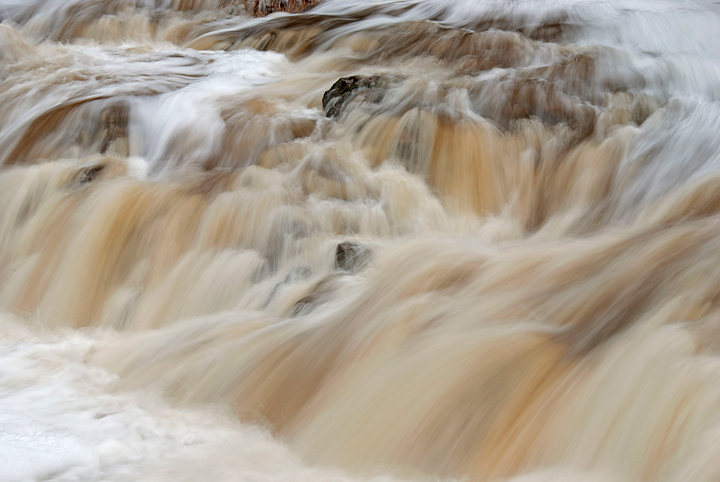 There was a lot of water coming over the falls, a bit surprising considering the dry winter and spring. Unfortunately most of the falls was covered in bright sunlight so I decided to concentrate on some intimate photos of the portions of the falls that was in the shade. 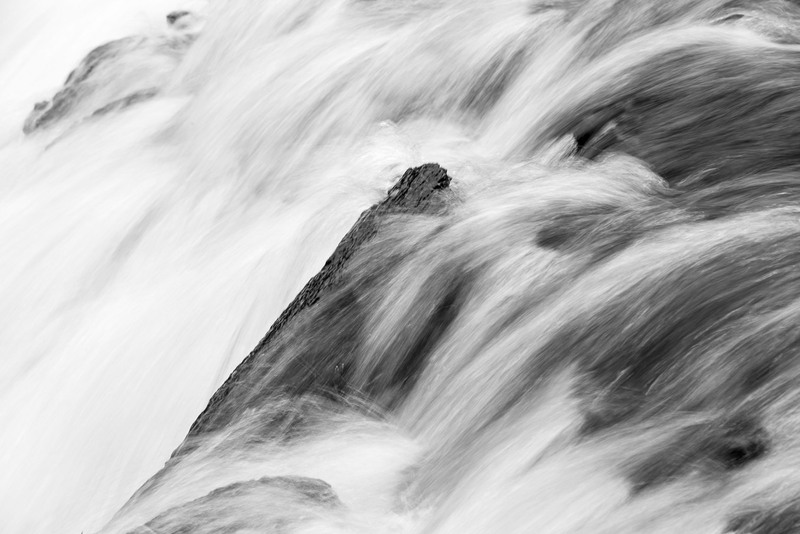 While was photographing a small portion of the falls I noticed something sticking up out of the water. At first it looked like a leaf but the more I looked the more it looked like a fish tail. I kept watching it and sure enough it was a fish attempting to navigate up the falls. As I watched I noticed even more fish attempting to make it up the falls. It was strange because there a number of other folks viewing the falls and none of them had noticed the fish. We then continued on, what turned out to be, an eight mile hike. For the most part there was not a lot of color and we didn’t see any spring flowers. 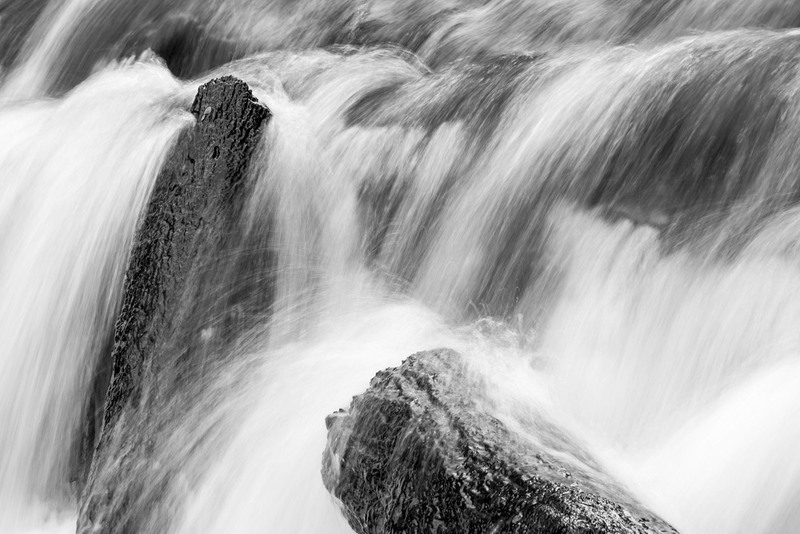 More photographs from Willow Falls State Park can be found on my website. 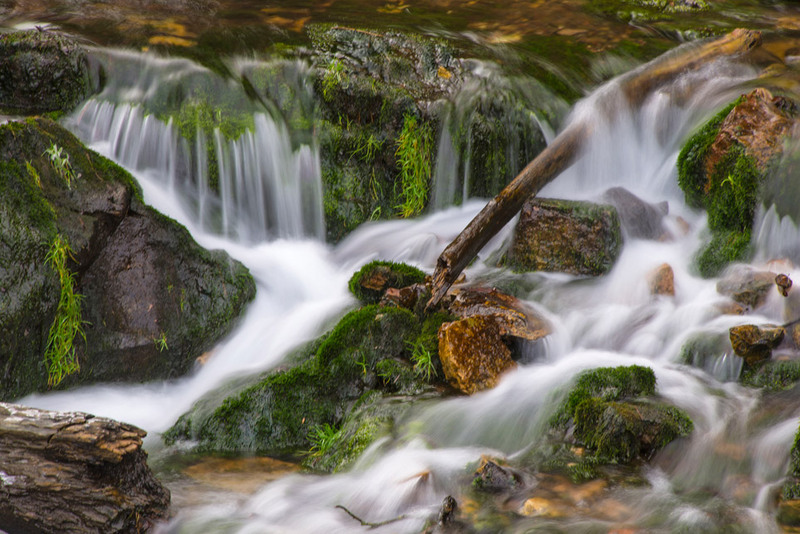 On my last visit to Willow River State Park was during a warm stretch. 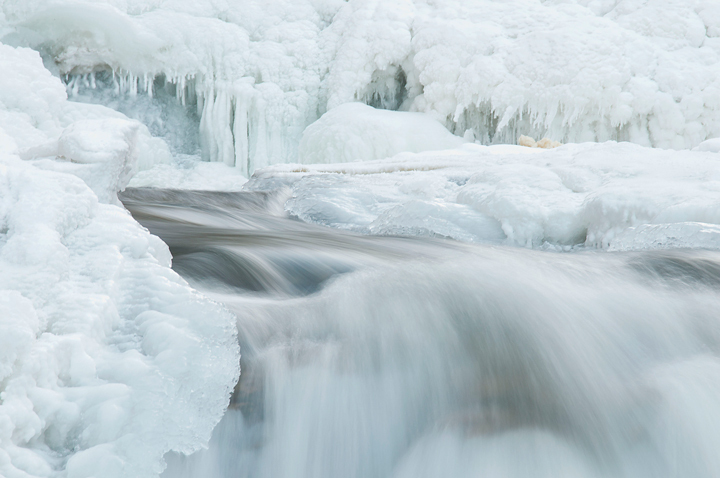 For some reason the river below the falls was frozen solid but there was not a lot of ice at Willow Falls. About a week later I made a second trip to Willow Falls. We had a solid week of below zero weather. 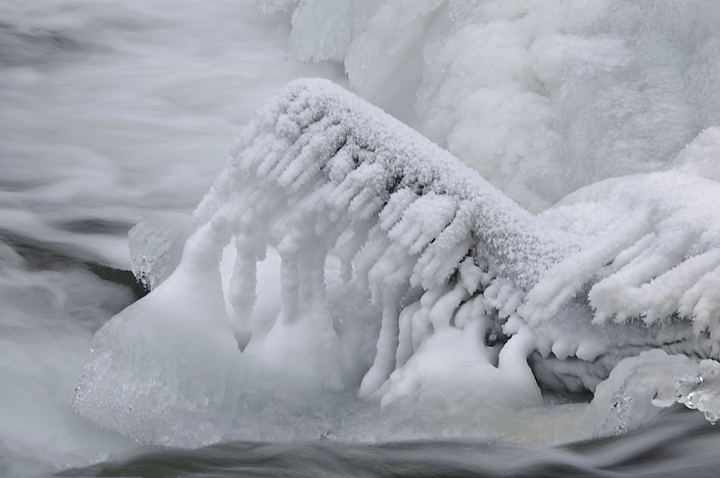 This time the River was open and the Falls had quite a bit of ice. I haven’t been able to figure out why the river was open. It has been bitterly cold the last few weeks so I decided to drive over to Willow River State Park and see if I could find some frost to photograph. Unfortunately it has been cold for too long and there wasn’t any frost to photograph. Willow Falls was almost completely frozen so there weren’t a lot of good photos to be had but I managed a few intimate photos of Willow Falls. It was a bit of a disappointing trip but I was able to stop at the DNR office in Baldwin and pick up my ski pass and park pass for next year. It has been a while since my wife and I have been to Willow River State Park. Usually I make a number of visits in the winter but this year I just made one visit. With the arrival of Spring we decide to drive over and check on condition in the Park. In fact we made two visit last week to Willow River State Park. 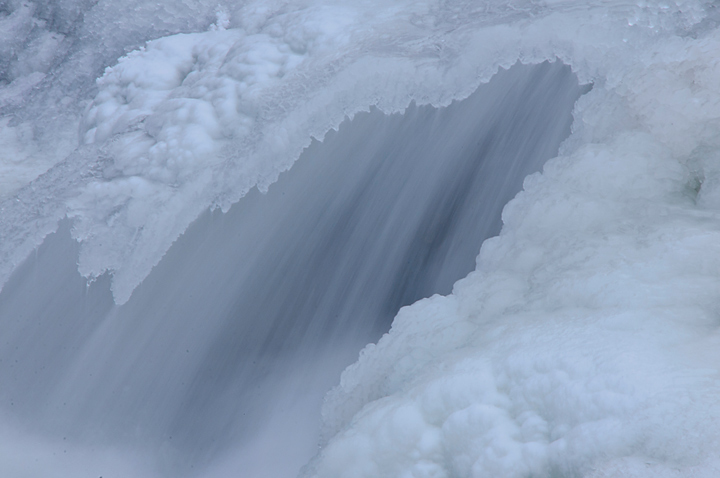 The first visit was made on bright cold spring day.There was plenty of water running over the falls. It was late in the day so the falls was mainly in the sun and only partially in the shade. I managed to get a few photographs using a neutral density filter and a circular polarizing filter. After photographing the falls we decided to follow the river down to Willow Falls Lake and see if we could find any wildlife. 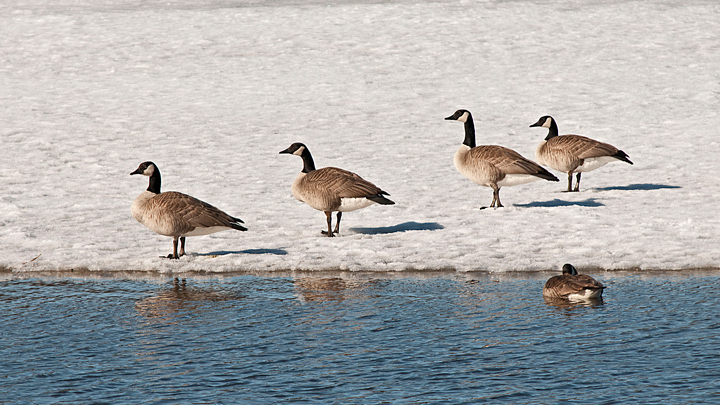 There were plenty of ducks and Canada Geese to be found where the open water of the river met the ice on the Lake. We heard a pair of Sandhill Cranes calling as we were walking along the river but couldn’t see them. We also saw a couple of Trumpeter Swans land in the open water on the lake as we were walking back to the car. After looking at my photos I wasn’t happy with them so a few days later we decided to drive back over to the park and do some hiking. In the morning we walked down to the falls and took some more photos. The water was running higher than on the previous trip. We then walked along the river to check on the waterfowl. They were less plentiful along the shore than on our previous trip. We decided to walk back to the car and head out for some lunch. After Lunch we decided to try hiking the Nelson Farm Trail which was finished late last year. It goes from main east parking area through the north portion of the park and ends back at Willow Falls. In all we walked about seven miles through the park. The trails had been groomed for cross country skiing but they had turned mostly to slush and in many places were bare ground. We encountered a couple of diehard cross country skiers on the trails. They had to stop every once in a while and walk through the mud to get to the next patch of snow. One of them gave up and clearly was not happy with conditions but the other one persevered and made the circuit of the park. Wildlife was plentiful in the bluffs above Willow River Lake. There were two herds of White-tail Deer in the meadows. We also managed to see quite a few birds including our first Eastern Phoebes, Eastern Bluebirds, Great Blue Herons and Cedar Waxwings of the season. Waterfowl was plentiful but too far out for any photographs. Waterfowl included Wood Ducks, Common Mergansers, Mallards, Buffleheads and lots of Canada Geese. 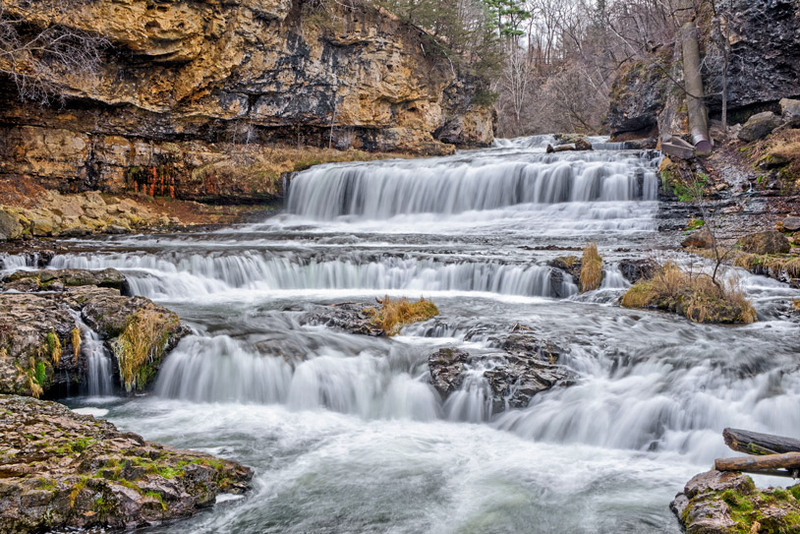 This is a great time to visit Willow River State Park. There is some good water flow over the Falls. Many of the summer birds have returned to the park. Waterfowl are plentiful where the Willow River enters Willow Falls Lake and along the edge of the ice on the lake. A couple of days ago my brother in law called to tell me I absolutely had to go out on the internet and check out the Bill Dance fishing bloopers. He couldn’t believe that so many things had happened to one person. I told him that someone who has taped as many programs as Bill Dance would have a ton of bloopers to show for it. I did go out and watch them and couldn’t stop laughing. It is hard to believe that one person could have so many problems but trust me they can. After my gaff from a couple of weeks ago when I had a great opportunity to shoot a Bald Eagle. I saw the eagle flying toward me started focusing on him. I thought I needed a wider aperture so I turned the knob. Unfortunately, in my excitement of getting a great shot, I turned the camera off instead. I started thinking it might be a good topic for a blog. 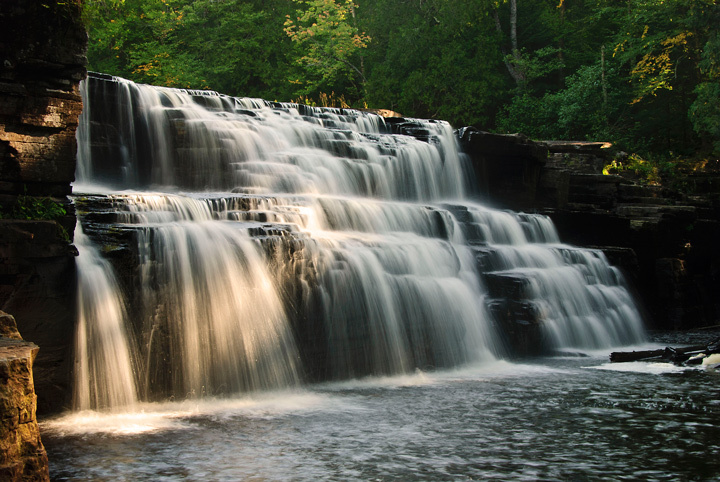 One day my wife and I were photographing at Canyon Falls in Michigan. The water levels in the Sturgeon River were really low so I it looked like I could work my way down from the top of the gorge to river level. There appeared to be a flat rock near the water that would make a great place to take a photo. I’m in my 70’s and not as spry as I used to be. My wife suggested it wouldn’t be a good idea to try and get where I knew there was a great picture to be had. I tried anyway but slipped on the last step. I made some great acrobatic moves to save the tripod and camera but more importantly save myself from a fall into the Sturgeon river and probably serious injury. Morale of the story is listen to your wife. My effort would have looked great on video and I did get some nice shots of the falls. 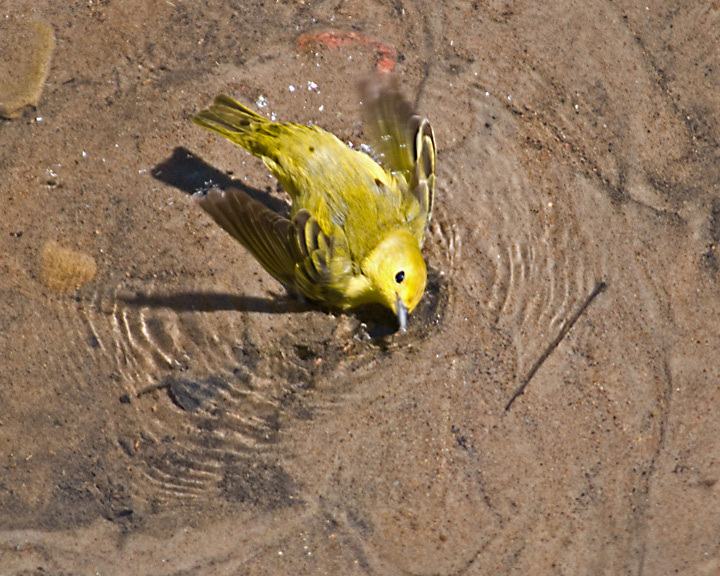 Another big blooper occurred when I was out photographing birds along the Red Cedar River. 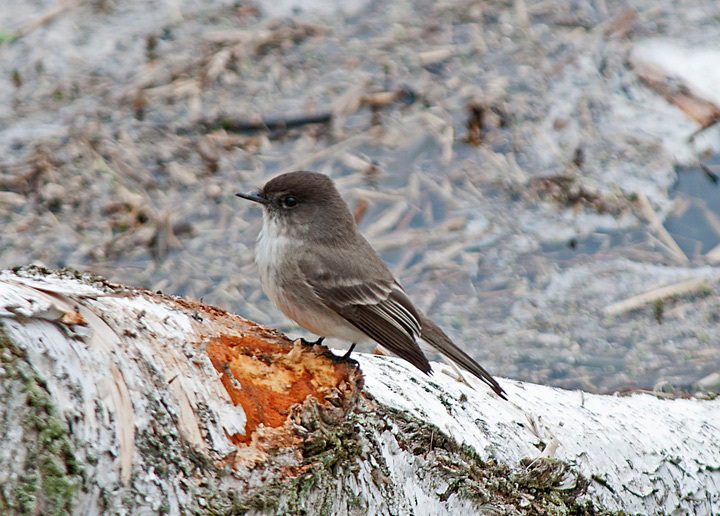 I had my Tamron birding lens (200mm-500mm) on the camera and the camera mounted on the tripod. 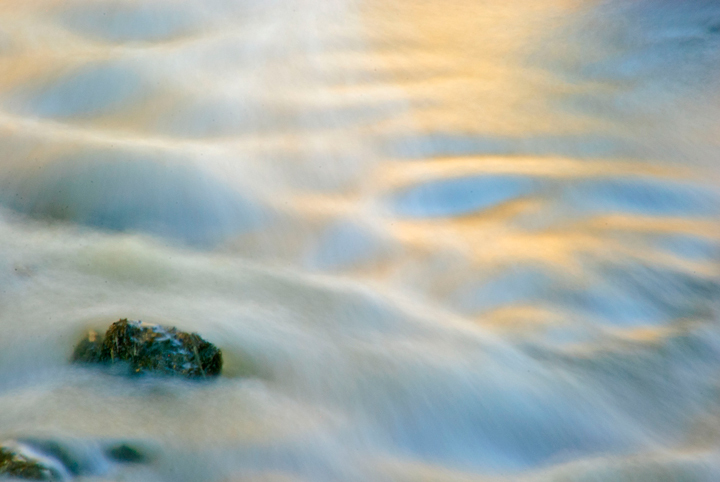 I set the camera on level ground and went looking along a small stream to see if I could find something else to photograph. 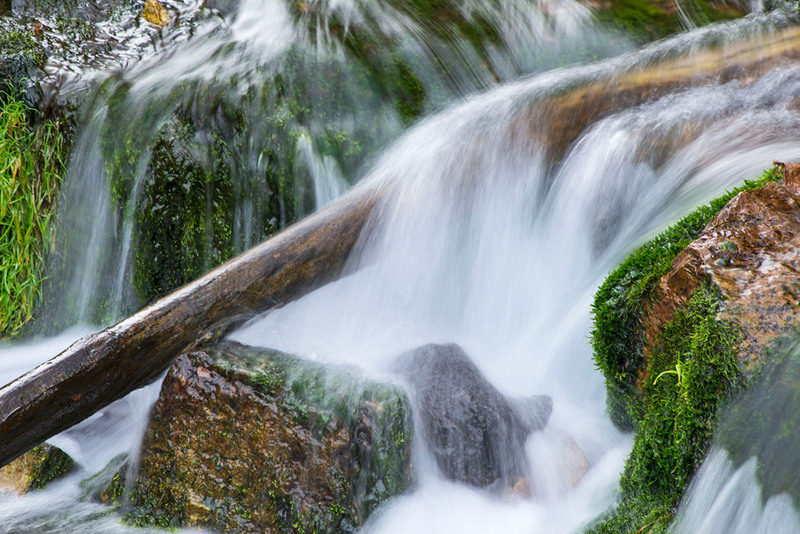 Unfortunately the wind was blowing and all of a sudden I heard a splash and turned to see my tripod lying on the ground and my camera and lens lying in the small stream. To make matters worse the stream had a sandy bottom. The Camera and lens were DOA but with some work I was able to salvage the Head. A strong gust of wind blew a branch into the camera and over it went. Fortunately the memory card was ok. This was my last shot from that disaster. Or there was the time I was photographing early in the morning in Crex Meadows. 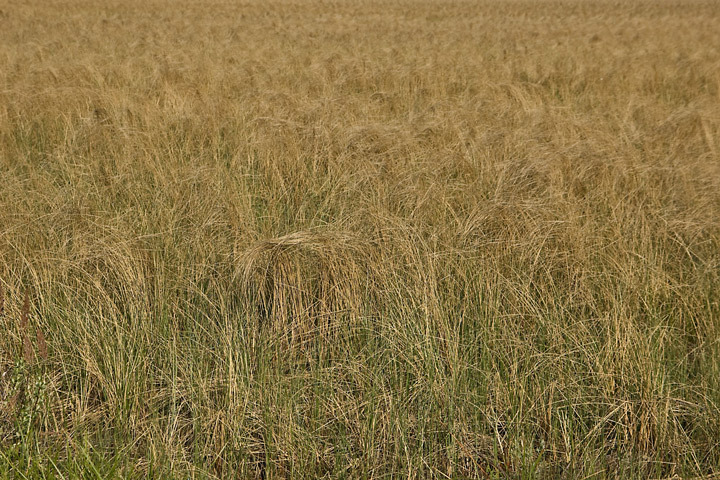 The early morning light was shining on a field of golden grass. I quickly pulled over and grabbed the camera and walked over to photograph the grass. I took a couple of photographs but thought I could get a better one if I walked off of the road and into the grass. I should have been paying more attention because I stepped off of a bank into two feet of water. 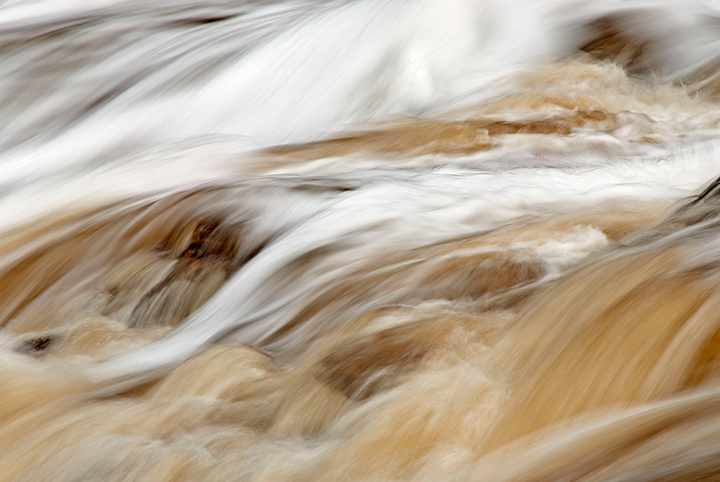 Fortunately I was able to hold the camera out of the water although it took quite a while before I dried out. Moral of the story is watch where you are going. 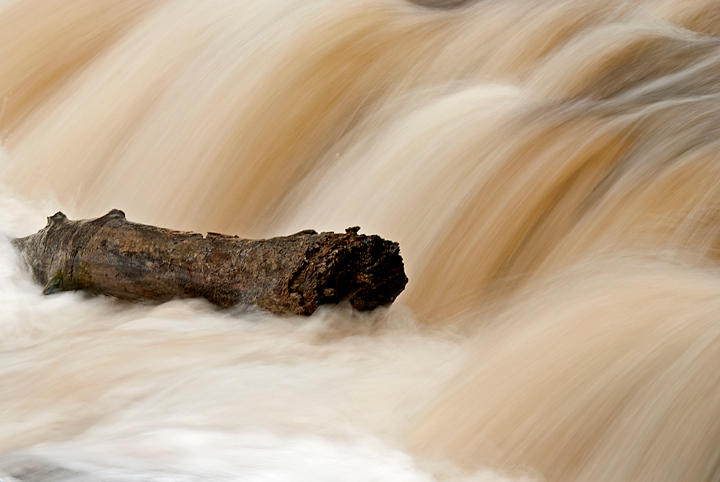 It’s been down around zero this week so I figured it was time to head over to Willow River State Park to Photograph Willow Falls. 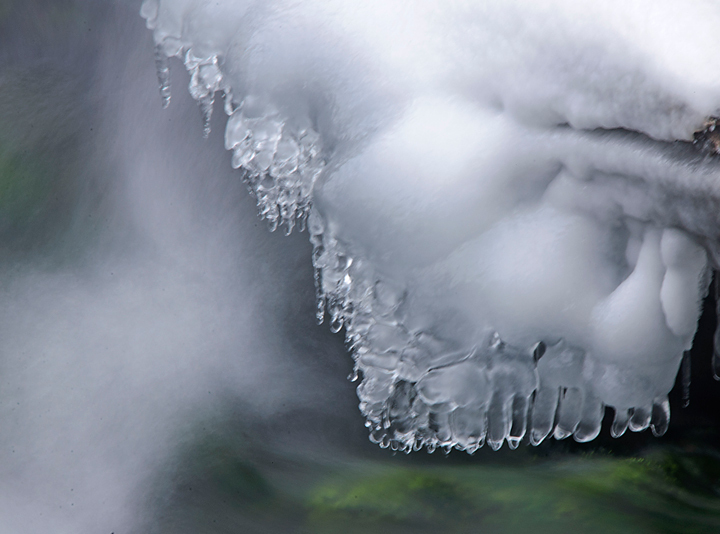 I was hoping there would be a lot of heavy frost around the falls but was disappointed. There was a little frost but not like I have seen it on some visits. 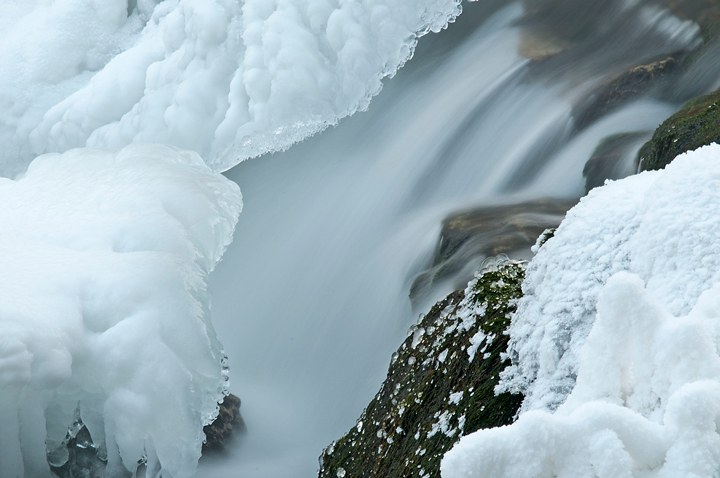 Willow Falls is fun to photograph in the winter because it is a waterfall that usually has open water in addition to many ice formations. I encountered one other person just as I arrived at the falls otherwise the place was deserted. Probably because of the cold weather. 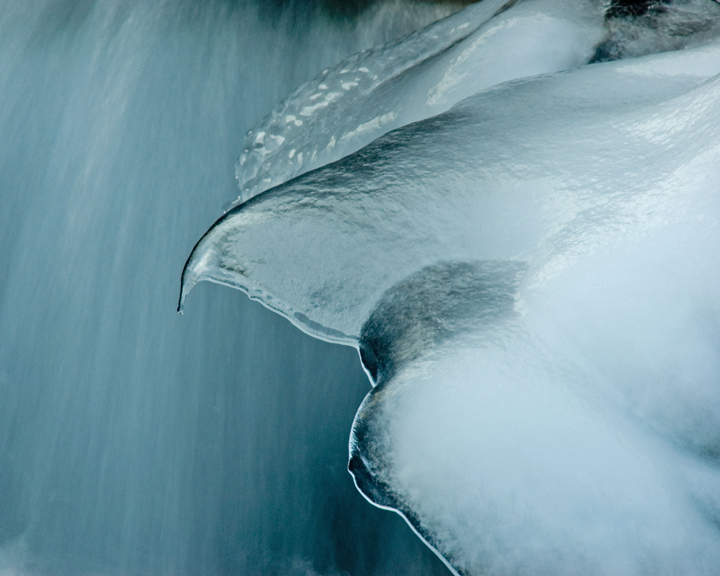 I spent about an hour wandering along both sides of the waterfall looking for intimate shots of ice and water and the interesting features created by the ice and water. 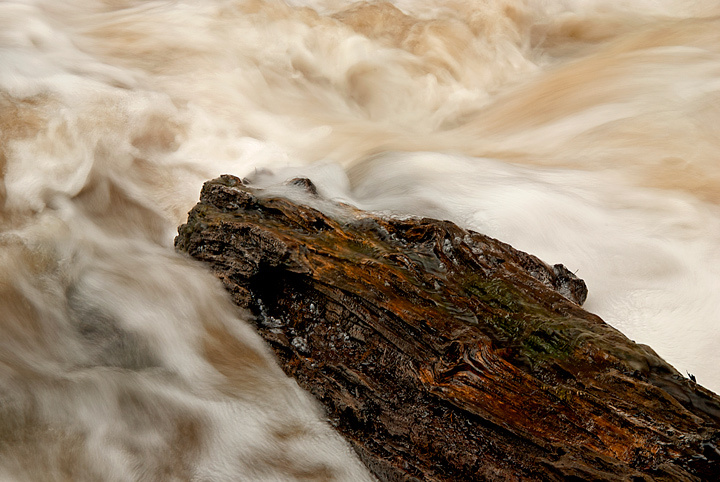 More winter photographs of Willow Falls can be found on my website.